So, the surprise was long overdue. But my cake pops were in the newspapers! 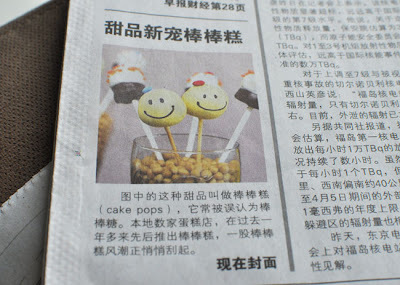 There was a feature on cake pops in the Chinese newspapers and my cake pops were in it! 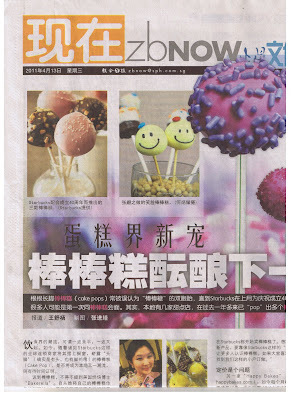 And it was a full-page feature! I was expecting only a 1/4 or 1/2 page thingy. Apparently, it's becoming quite the hottest thing (I know, it is already hot in the US since quite some time ago) at present. This is the 25% of the full-page feature. See my cake pops up there? Along with some others.